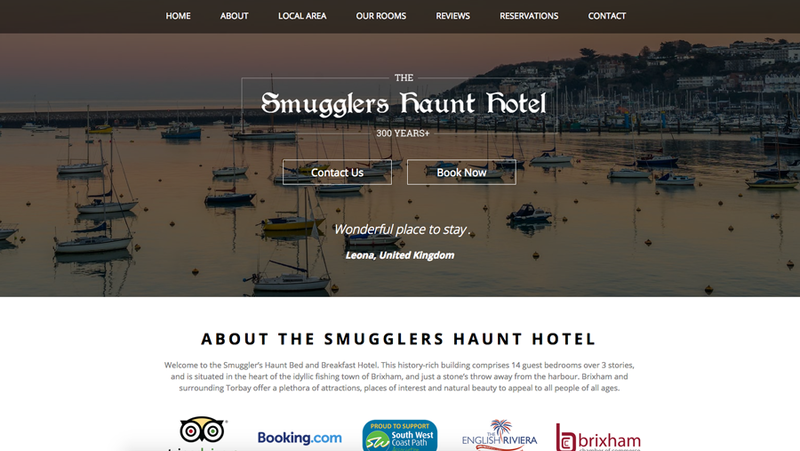 This week's website of the week goes to The Smugglers Haunt Hotel. 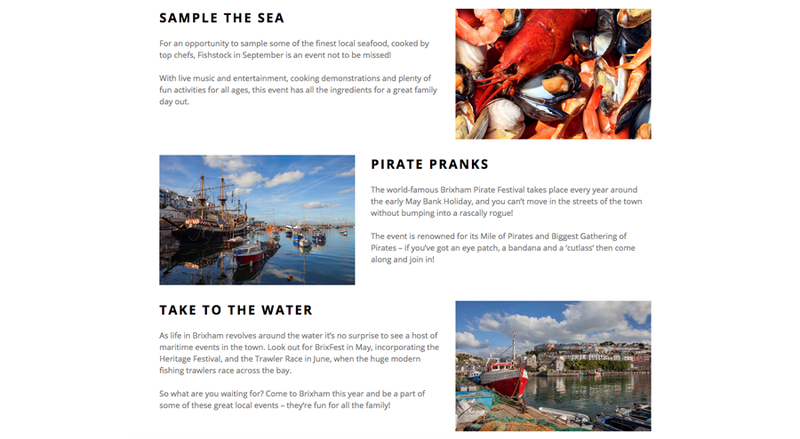 The Smuggler’s Haunt Bed and Breakfast Hotel has 14 guest bedrooms over 3 stories, and is situated in the heart of the idyllic fishing town of Brixham. The website features a neutral colour scheme using dark grey, light grey and white. This paired with the imagery makes for a great impact and first impression. The website has call to action buttons on the slide show header, clickable partner logos, clickable contact icons and parallax panels which add movement and a fluid feel. The interactive map allows people to take a look at the location as well, using Google Maps functionality. 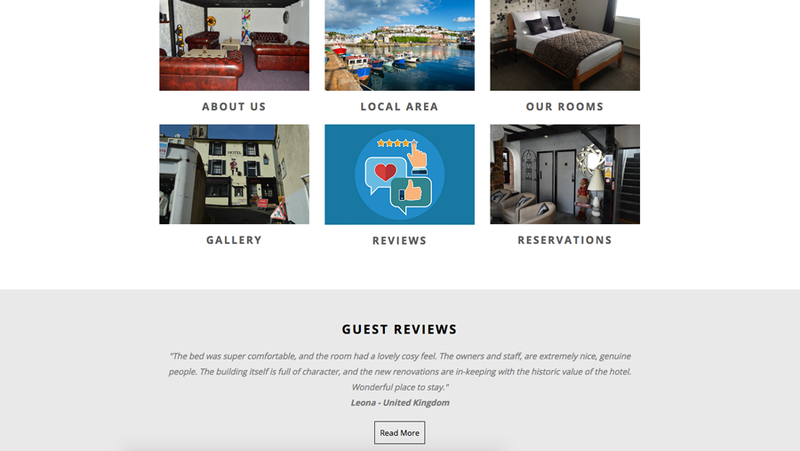 The website features the clients own imagery meaning that you can get a good idea of what the location is like along with how the hotel looks. This is important when it comes to this industry because it's important you show off the premises and lure visitors to your hotel. 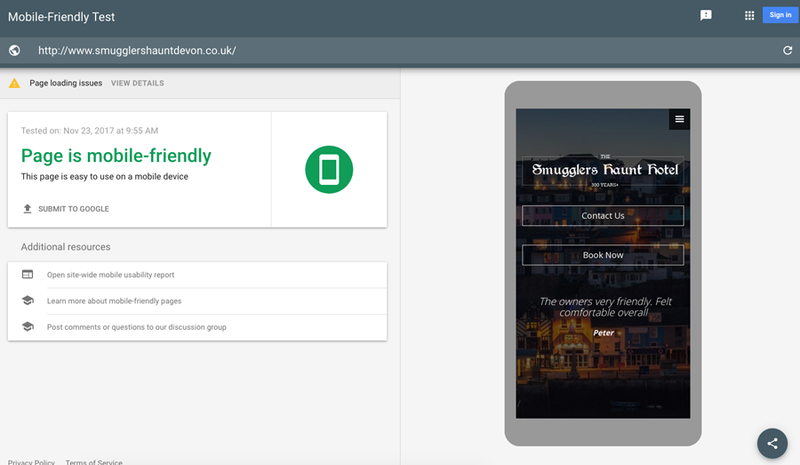 The website passes Google's Mobile Friendly test meaning that people can view the website on the go. Whether it's on a desktop, mobile phone or tablet the website will respond to the device it's being viewed on. Did you know... we have a Black Friday sale on this Friday. With a massive 20% off of ALL of our services! Get in touch to hear more.